Firm behavior in competitive markets is probably one of the most fundamental subjects in economics. That is mainly due to the fact that most markets we encounter in reality are competitive, at least to a certain degree. Competition is characterized by a multitude of firms offering the same (or a similar) good or service or a close substitute. In general it can be said that the more similar the goods or services are, the more competitive the markets will be. However, the competitiveness of a market is still highly dependent on firm behavior. For example, companies engaging in collusive behavior may result in a significant impediment to competition. For now, we will assume that firms do not engage in such activities. As mentioned above, competitive markets may experience different degrees of competition. To explain the principle of competitiveness, it is useful to distinguish between two different market structures: perfect competition and imperfect competition. The goods that are sold need to be homogeneous. In other words, they need to be exactly the same and can thus be substituted at no cost. There must be no preferences between different sellers. For the customers it should not matter from which seller they buy their products. No actor should have the ability to affect the market price. That means, both buyers and sellers do not have any market power and can thus be considered price takers. Looking at these criteria, it becomes apparent, that they will hardly ever be met in reality. Even so, an example that comes fairly close to perfect competition is the market for rice. There are thousands of buyers and sellers and the products are mostly identical. But it will never be perfectly competitive, as there will always be minor differences in products, preferences between sellers and so on. 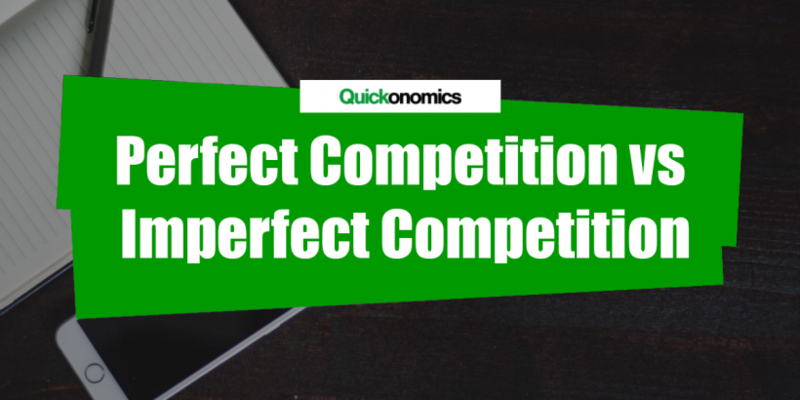 However, at this point it is important to note that the idea behind perfect competition as a theoretical construct is to help explain various market mechanisms and economic behavior. So even though we may not find perfectly competitive markets in reality, the concept is still extremely relevant. The goods that are sold are differentiated. 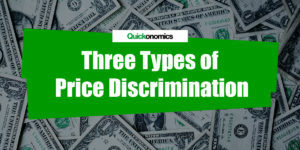 That means, even though they mostly satisfy the same needs, there are minor differences that allow customers to distinguish the products from one another. Due to the differentiated goods, customers develop preferences for some sellers. Thus, they are willing to spend more money on goods from specific sellers. 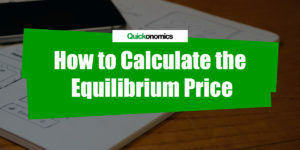 As a result, the sellers may exert a certain degree of market power and charge a price premium. Hence, they can directly influence the market price to a limited degree and are no longer pure price takers. Although imperfect competition is sometimes also referred to as monopolistic competition, they are not the same. Imperfect competition is a generic description of all market structures that lie anywhere between perfect competition and a monopoly. Thus, monopolistic competition is a type of imperfect competition along with oligopolistic market structures. An example of imperfect competition is the market for cereals. Just think about the cereal aisle at your local supermarket, you will find dozens of different cereals (Cap’n Crunch, Lucky Charms, Froot Loops, Apple Jacks, etc.). Out of those brand you probably have a favorite, like most people. However, if you think about it, those cereals are actually not that different. Ultimately, they all serve the exact same need; providing you with a tasty breakfast. Competitive markets are characterized by a multitude of firms offering the same (or a similar) good or service or close substitutes. They can either be perfectly competitive or imperfectly competitive. In perfectly competitive markets the goods are homogeneous, consumers have no preferences, and neither buyers nor sellers can influence the market price. 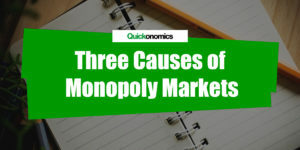 Imperfectly competitive markets on the other hand are distinguished by differentiated products, consumer preferences, and as a result a certain degree of market power for sellers. Complete and correct info, exactly what I needed. Thanks. this was very helpful and easy to understand! thanks!